This lovely stone built cottage is situated in Appletreewick, one of the Dales' most picturesque villages. 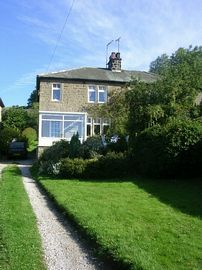 The cottage is set well back from the road with large gardens to front and rear. 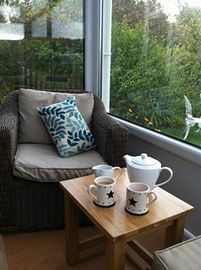 It has a small south facing conservatory which enjoys breath taking views over the surrounding countryside. 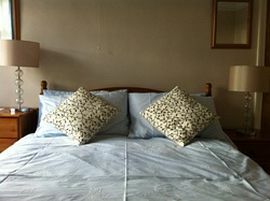 With little to disturb the peace and quiet, Fellside Cottage makes an ideal base for a relaxing Dales holiday. Appletreewick is located between the village of Grassington and the bustling market town of Skipton (winner of the 2008 award for best high street in Britain). 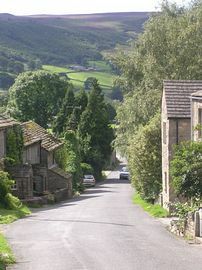 It is in the heart of Wharfedale -the setting for the film, Calendar Girls. Appletreewick village boasts 2 award winning traditional pubs, both of which serve food and traditional ales. Two local pubs serving excellent food and beers. Excellent walking from the door. Enclosed rear garden plus extensive front garden with fabulous views and outdoor eating area. Within the village of Appletreewick, set well back from the road. 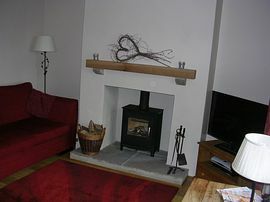 July, August, Christmas, New Year £650.00.